Muffins just feel right at the start of a new year. 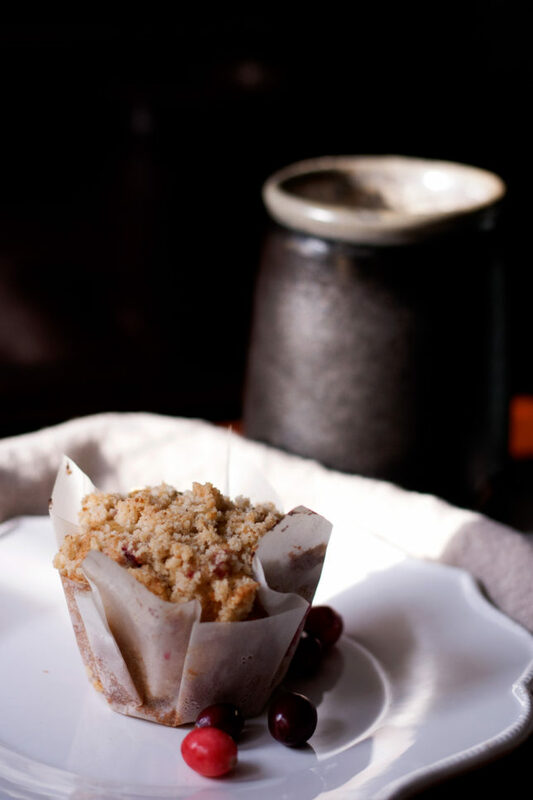 There’s something about holding one in your hand, taking a bite through the crunchy lid into the pillowy crumb, and following it with a sip of hot coffee that helps gird you for the day ahead, especially when temperatures hover below, sometimes far below, freezing. So when my friend Jess dropped off a bag of fresh cranberries from her overflowing supply on her way to work earlier this week, I knew what to do. The timing was perfect. The truth is that I’ve never baked with fresh cranberries before, so there was a learning curve. 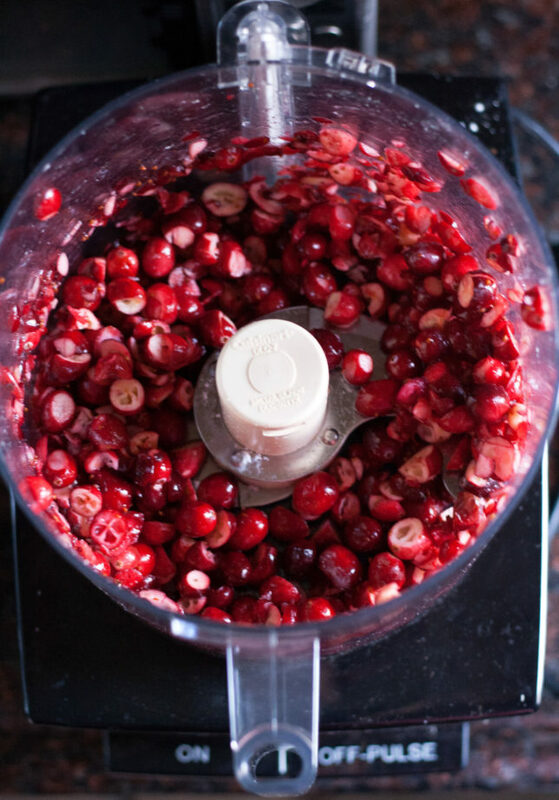 To wit: cranberries are really, really, really tart. Perhaps some can handle it better than others, popping them like candy while baking. I cannot. My first batch, which saw the cranberries unceremoniously folded into the sweet, golden batter without adornment, was good, but if there’s such a thing as too much “zing,” these were it. I found myself rushing through my first muffin in an effort just to find bites that didn’t make my mouth pucker. The rest of it was perfect, but I had to solve this conundrum. 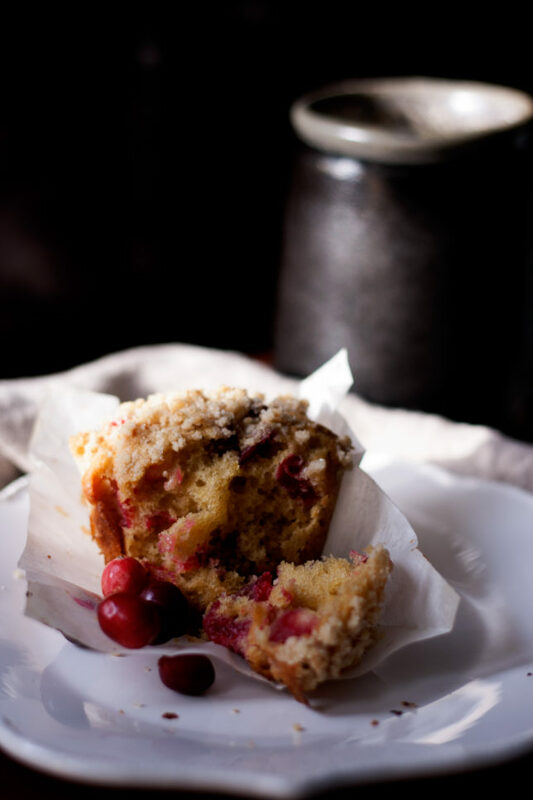 Muffins are meant to be savored. So for my next batch I turned to a trick I found in Cook’s Illustrated: to cut the overwhelming tartness, they chop the cranberries coarsely in a food processor with confectioner’s sugar and a bit of salt. Truth be told, I was dubious when I took them out and tried one — raw, it was still too much for me. But after a good sweat in the oven, turning them melty and sweet and soft, I was convinced. 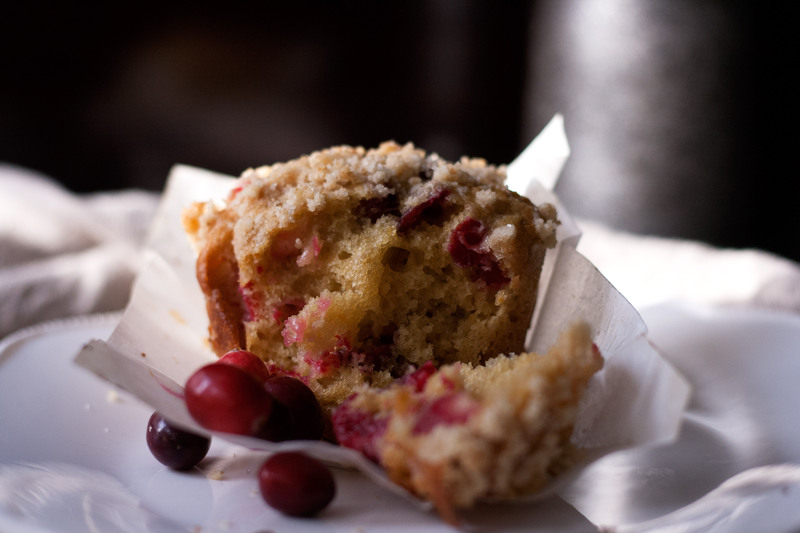 They were still on the tart side — they still were cranberries, after all — but the bite was completely diminished, making them a perfect pairing with the sweet, orange muffin. The streusel topping, a simple melange of butter, sugar, flour, and a pinch each of salt and cinnamon, is a highlight — a crumbly crunch to juxtapose the tender crumb beneath. It’s love and warmth you can hold in the palm of your hand. It’s brightness, a beacon to guide us into this new year, full of courage to fix the world, to stand strong beside our friends and loved ones, to stand up for ourselves, to be kind, to smile and embrace every victory, every friendship, every drop of humanity that still stirs deeply within our world and our own souls. Let’s always remember that light, even when things get dark. Let’s never let it go out. Through the course of my muffin experiments I experimented with both unlined and lined muffin tins. What I have discovered: If you love a crunchy overhang, butter and flour your muffin tin (I like using baking spray). This will create little mushrooms of muffins as the batter rises and spills over during baking. If, however, you prefer a tall muffin, go with muffin liners. I made my own, which let me fill them high and top generously with the streusel without it spilling all over. I used this tutorial over at The Kitchn — easy! Preheat oven to 375 degrees. Line or grease and flour a 12-cup muffin tin. Make the topping: combine all ingredients in a small bowl. Use your hands to combine thoroughly until the flour and sugar is completely moistened and it holds together when squeezed. Set aside. 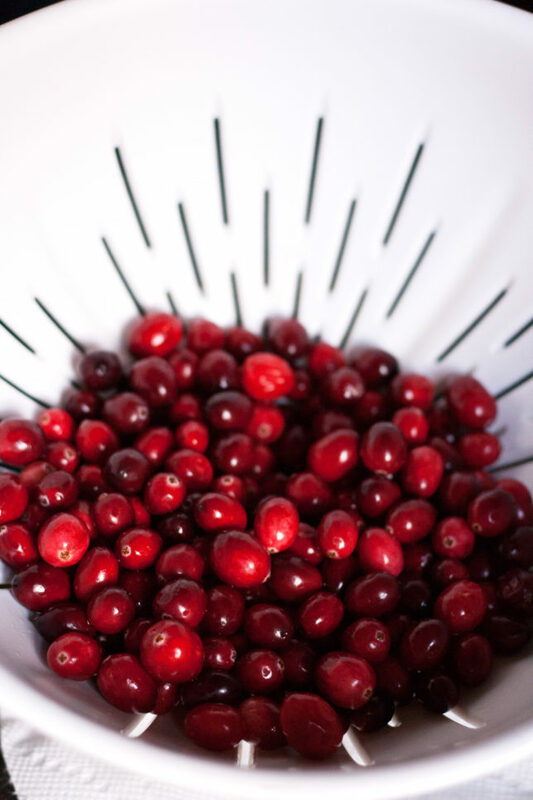 Combine cranberries, confectioner’s sugar, and ¼ teaspoon salt in a food processor and pulse until finely chopped, about 5-6 one-second pulses. 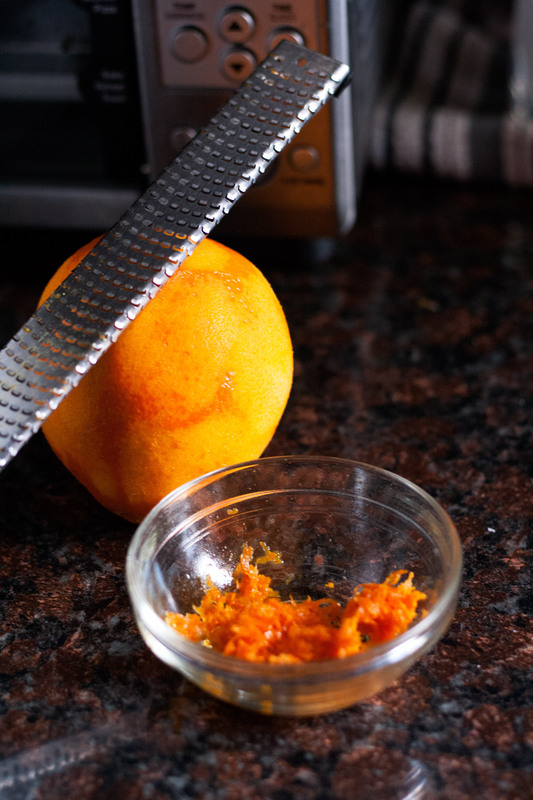 In a large bowl, beat butter, granulated sugar, brown sugar, and orange zest until fluffy. A hand mixer works well here. Add egg and mix well, scraping the sides of the bowl as needed. Gently mix in buttermilk or yogurt. Stir in the flour mixture until just combined. Do not over-work. Fold in cranberries. 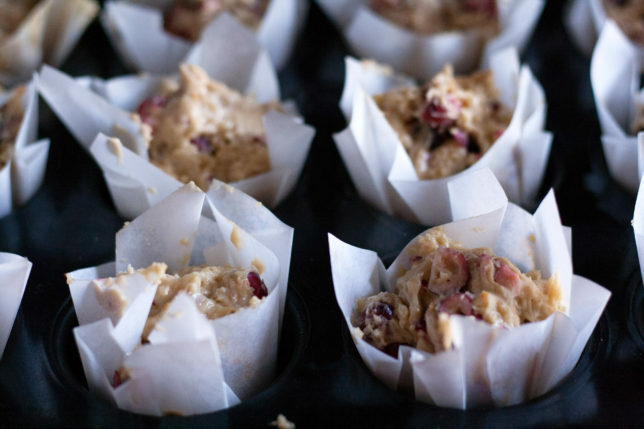 Divide the batter evenly in the muffin cups — they will be quite full and mounded. 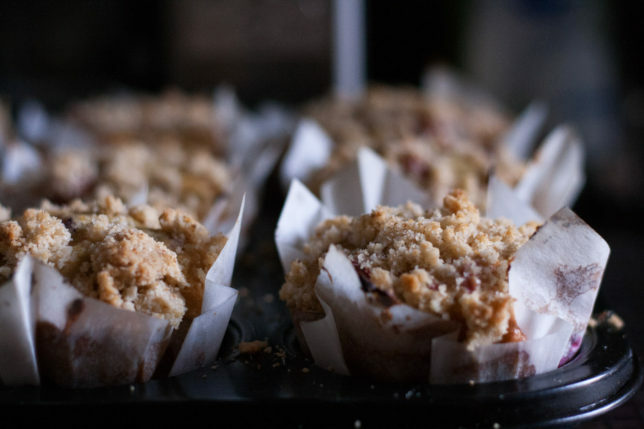 Sprinkle the streusel topping evenly over the tops of each, pressing to help it adhere. Use it all. 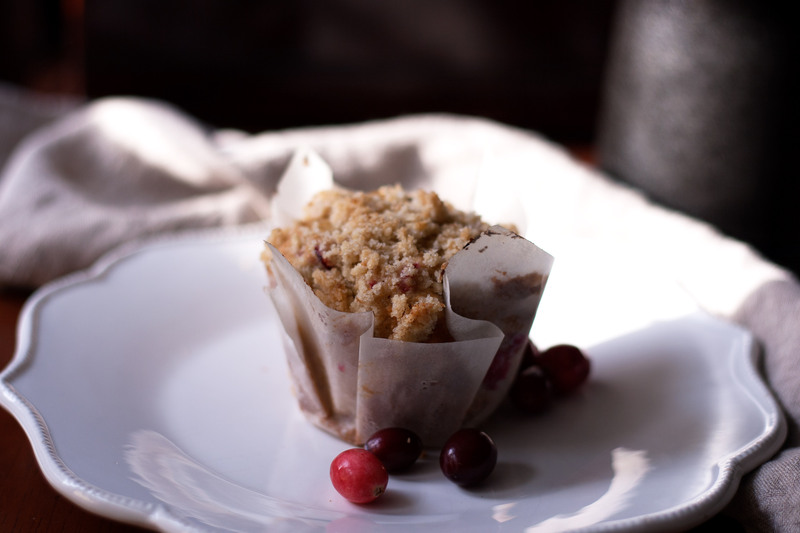 These muffins keep well in a sealed container for up to three days. To bring them back to life and make them taste like they’ve just come out of the oven, heat them, uncovered, in a 300 degree oven or toaster oven for 10 minutes.